In recent years garden troughs and hypertufa containers have become very popular. That’s a very good thing for cacti and succulent lovers as these particular containers are very suitable for these very special plants. That’s why I was so delighted when B.B. Mackey Books published this title. Fingerut is president of the North American Rock Garden Society. Prior to that she was national vice-president. She edited the society’s book on trough gardens. She presents workshops and lectures throughout the U.S. on trough making. She has won numerous awards for her displays at the Philadelphia Flower Show. As a nurseryman, Murfitt came to specialize in alpine plants. He began his career in England, and later moved to New York where he co-founded a nursery specializing in alpines. He now gardens in Victoria, B.C. He spends a lot of time photographing, writing, and lecturing about alpine gardening. This groundbreaking book features all the information you will need to create and plant your trough gardens. It begins with a well-written introduction and history to garden troughs. The authors include thorough chapters with extensive illustrated directions on how to construct a hypertufa trough as well as how to go about choosing your plants and installing them. There are even sample planting plans, including one featuring succulent collections. Readers will also find the comprehensive list of plants to be very helpful as it features specific plant cultivars whenever appropriate. At the end of the book there is also a handy guide to sources and resources. In addition, the authors instruct the reader on maintaining and caring for the completed garden trough. Among the featured succulents are the sedums, yuccas, and other succulents, including houseleeks or Sempervivums. The authors present instructions for planting houseleeks on roofs as well--a practice that was once common among gardeners in Europe. 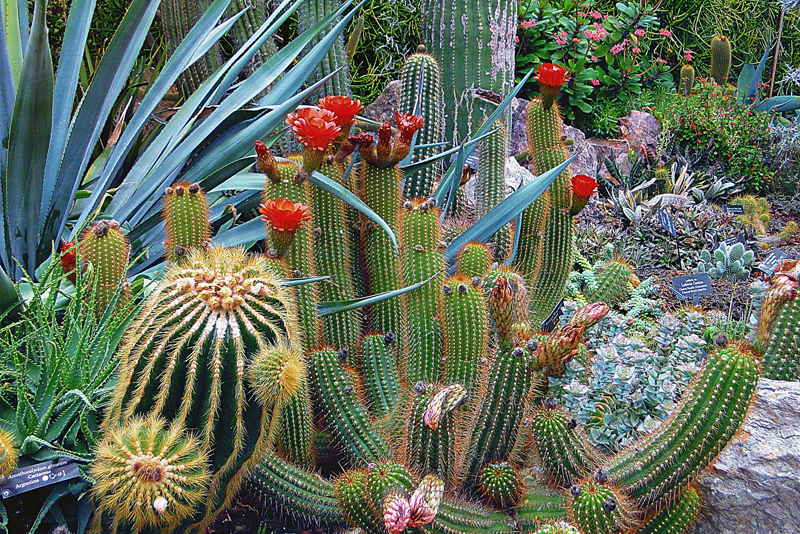 This book is a must-have for cacti and succulent lovers who are interested in container gardening.